On Sept. 3, 1944, 24-year-old Recy Taylor and two friends were on their way home from a late-night church service in Abbeville, Ala., when a group of white men abducted and raped her. Taylor refused to stay silent about the assault. Two grand juries refused to bring charges against her attackers. Taylor, who died at the age of 97, would never see justice during her lifetime. Amid Hollywood’s heightened climate against sexual assault, Oprah Winfrey reminded those in attendance at the Golden Globes on Sunday that the push for women’s justice still falls along racial lines. In short, during Oprah’s acceptance of the Cecile B. DeMille Award for lifetime achievement, she said her name. 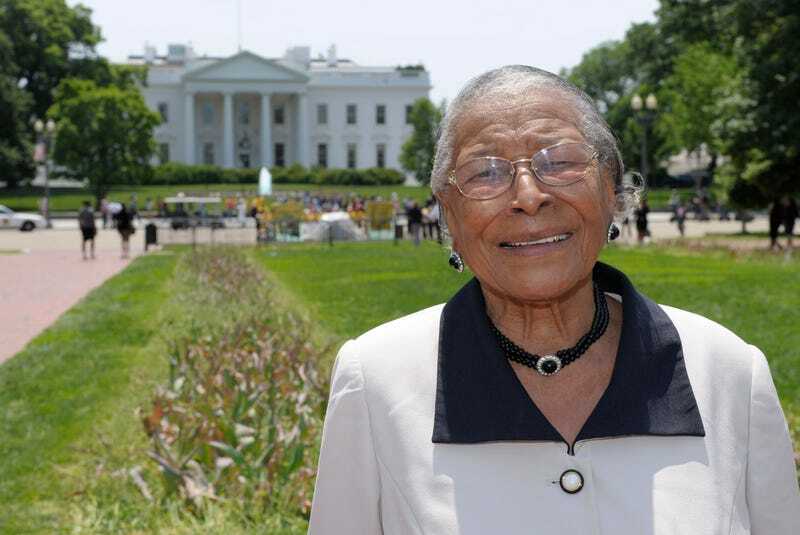 Now, in a continued push to keep the name of Recy Taylor alive, members of the Congress Black Caucus will wear red pins during President Donald Trump’s State of the Union address later this month, the New York Daily News reports. Coleman has been instrumental in the push to keep Taylor’s name alive. Coleman is also encouraging CBC members to wear all black as a show of solidarity with women who have been sexually assaulted, according to the Daily News. Caucus member Rep. Gwen Moore (D-Wis.), who is a survivor of sexual assault, plans to wear all black and a pin on her jacket at the SOTU on Jan.30, the Daily News reports.